3ERP’s custom sheet metal prototyping services offer a fast and cost-effective solution for your projects. Services including bending, punching, cutting standard gauge metal for both prototypes and low volume production runs. Sheet metal fabrication produces durable, end-use metal parts with a wide selection of materials and finishes that meet your specifications, for a variety of industries like: Automotive, Medical device, Aerospace, electronics, energy and robotics. 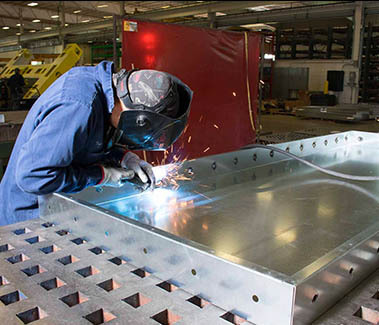 Sheet metal fabrication is a set of manufacturing processes used to turn sheet metal stock into functional parts. The sheet metal is usually between 0.006 and 0.25 inches (0.015 and 0.635 centimeters) thick. There are several processes that fall under the umbrella of ‘sheet metal fabrication’. 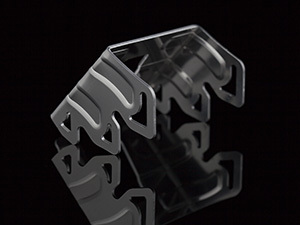 These include cutting, bending and punching, and can be used either in tandem or individually. Sheet metal fabrication can be used to create either functional prototypes or end-use parts, but end-use sheet metal parts generally require a finishing process before they are ready for market. How does sheet metal fabrication work? Because thin sheets of metal are more malleable than a thick workpiece, they can be manipulated using different processes. Sheet metal fabrication uses material removal processes to remove, cut and puncture the metal stock. Laser cutting uses a laser to cut the sheet metal part. A high-power laser is directed onto the sheet and intensified with a lens or mirror to a concentrated spot. In the specific application of sheet metal fabrication, the focal length of the laser varies between 1.5 to 3 inches (38 to 76 millimeters), and the laser spot size measures around 0.001 inches (0.025 mm) in diameter. A water jet cutter uses a high-pressure jet of water to penetrate the sheet metal. Unless the metal is especially thin, the water is mixed with an abrasive substance in order to cut through the solid material. Since water jet cutting does not give off heat like laser or plasma cutting, the process is particularly useful for metals that have a low melting point and might otherwise deform. With water jet cutting, there is no heat-affected zone (HAZ), and metals can be cut without changing their intrinsic properties. Plasma jetting uses a jet of hot plasma to cut through the sheet metal. The process, which involves creating an electrical channel of superheated ionised gas, is fast and has a relatively low setup cost. Thick sheet metal (up to 0.25 inches) is ideal for the plasma cutting process, since computer-controlled plasma cutters are more powerful than laser or water jet cutters. In fact, many plasma cutting machines can cut through workpieces up to 6 inches (150 mm) thick. 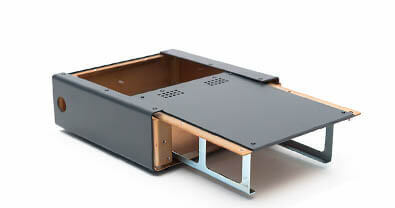 However, the process is less accurate than laser cutting or water jet cutting. When the sheet metal needs to be punctured with holes, a designated punching machine is generally more efficient than the above cutting methods. Punching involves sandwiching the sheet between a punch and a die; when the punch moves into the die, it forces a hole in the sheet. The process can also be used to form irregular shapes, by making several small punches in series. Most sheet metals can be punched, but the diameter of a round hole should generally be larger than the thickness of the chosen metal. Sheet metal can be manipulated in other ways besides cutting. For example, it can be bent into different shapes using special machinery. Sheet metal bending is used to create V-shape, U-shape and channel shape bends using a machine called a brake. Most brakes can bend sheet metal to an angle of up to 120 degrees, but the maximum bending force is dependent on factors such as metal thickness and tensile strength. In general, sheet metal must initially be over-bent, because it will partially spring back towards its original position. Stamping is another deformation process used to form sheet metal into a desired shape. The process uses a stamping die — either mechanic or hydraulic — to press the sheet metal into its new form. Stamping is used on cold sheet metal, but the friction caused by the die causes the metal to heat up to high temperatures. Individual stamping processes include, but are not limited to. Sheet metal spinning is a deformation process — conceptually similar to pottery spinning — that is used to create hollow parts with rounded features. The spinning process involves manually or mechanically rotating a sheet metal blank on a lathe and pressing it against a tool, which creates the interior shape of the part. Spinning can be used to create shapes like hemispheres, cones and cylinders. 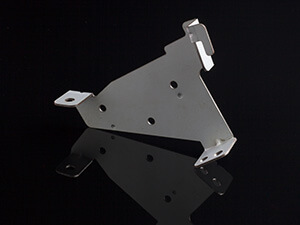 Pieces of sheet metal that have been cut or bent can be joined together to form complete sheet metal parts. These pieces can also be joined to components that are not made from sheet metal. A product may be designed so that several sheet metal parts can be fitted together with joints, screws or other common methods. 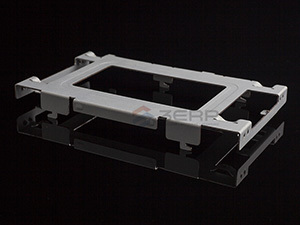 This usually comes after the parts have undergone any required finishing processes. Sheet metal parts sometimes need to be joined together using the process of welding, which fuses components together with heat. 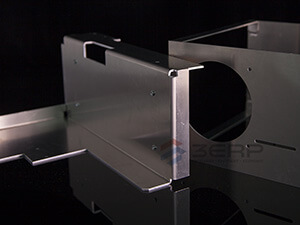 Sheet metal materials like aluminium and stainless steel have high weldability.